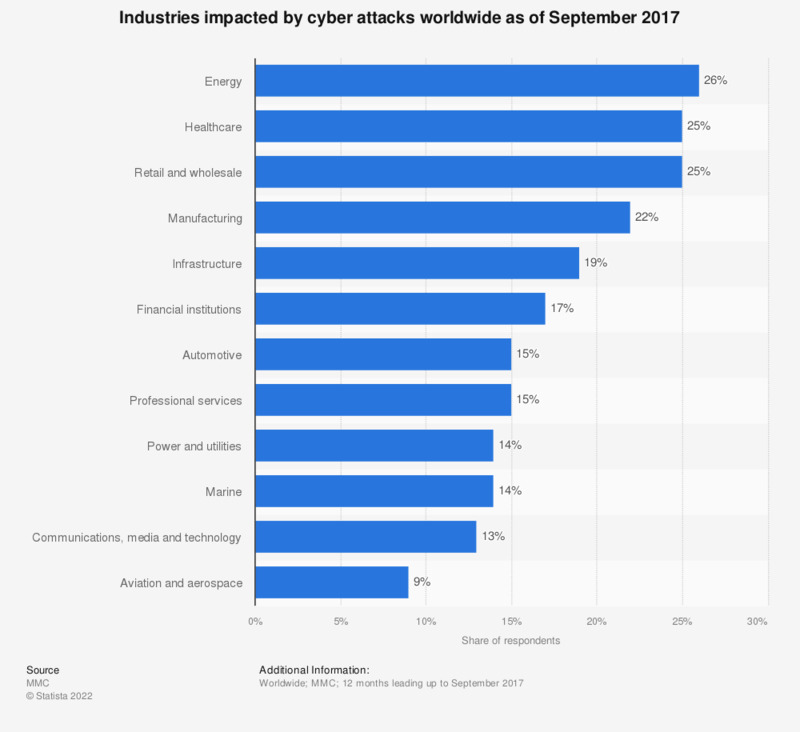 This statistic presents a ranking of the industries most commonly impacted by cyber attacks worldwide as of September 2017. During the survey, 26 percent of respondents from the energy sector stated that their company had been victim of cyber attacks in the past 12 months. The source does not provide exact information regarding the date or number of respondents. How concerned, if at all, are you about each of the following? "My child(ren) being groomed online"